I don’t remember why I picked the guitar or it picked me, but it has proven to be the most important decision I ever made in my life. 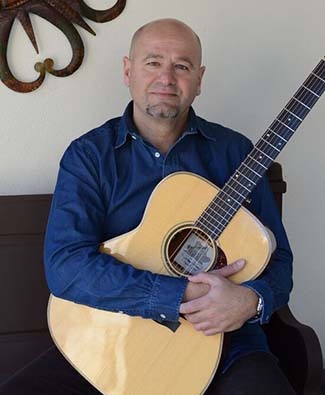 Playing guitar has always been a passion of mine, and I feel very lucky to have the desire to write and perform music for the past thirty years. I write songs now that I can live with and hope they mature and have a positive message without being anything else but a good tune. I enjoy the process of finding a melody or a chord progression that screams to become a song, then finding the lyrics that make sense at that time, and creating a song that moves me. It may knock around my head for days, months and sometimes years. First and foremost I consider myself a guitarist/songwriter/singer and my musical style is an eclectic blend of rock, folk, blues, jazz and whatever I’m feeling at the time. I made a promise to myself to continue to play, write and perform as long as I am alive. ©2019 Salvatore Casabianca. All Rights Reserved. Site design by SCM Creations.